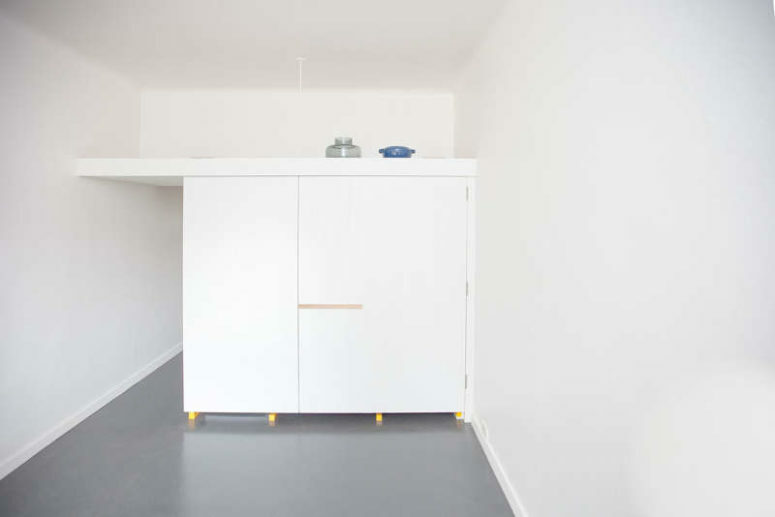 Living in a small studio apartment? Perhaps living in just one room, where you sleep, eat and receive guests? Then accommodating everything you need may be hard but the idea we are sharing today will give you everything you need for cooking, and all that in a very small setup! 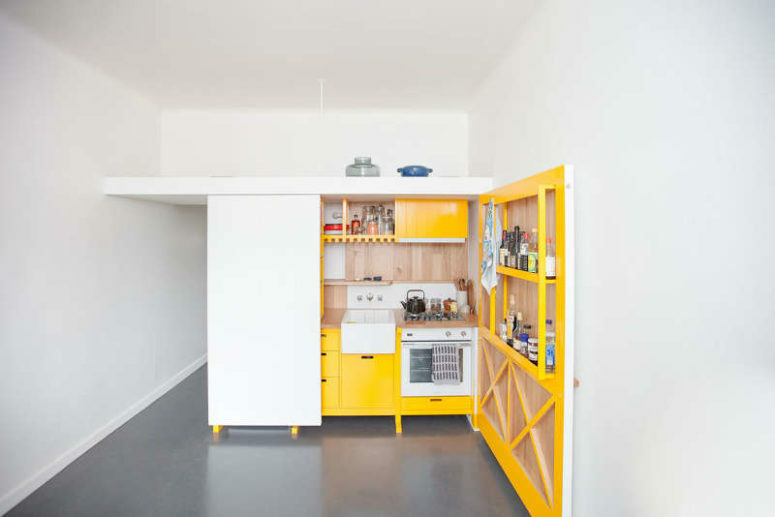 This kitchen was built by Nicholas Agius Architects, it’s a small item covered with white doors, behind which you’ll see a bold yellow and light-colored wood kitchen. 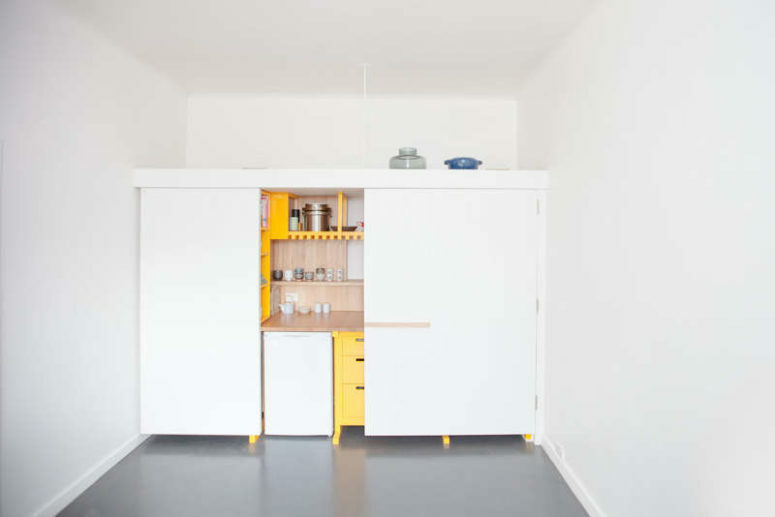 The bold yellow cabinets can accommodate what you need, there are both hanging and standing ones. There’s a small sink and a cooker, the door itself also features some storage shelves. The kitchen item features a lot of storage space – both inside, on the door and on its top, which is great to store all the items we need for cooking and cleaning. Though the cooking countertops are relatively small, they can be enough for cooking and peeling. A sink will allow cleaning, and a cooker is large enough for cooking, too. 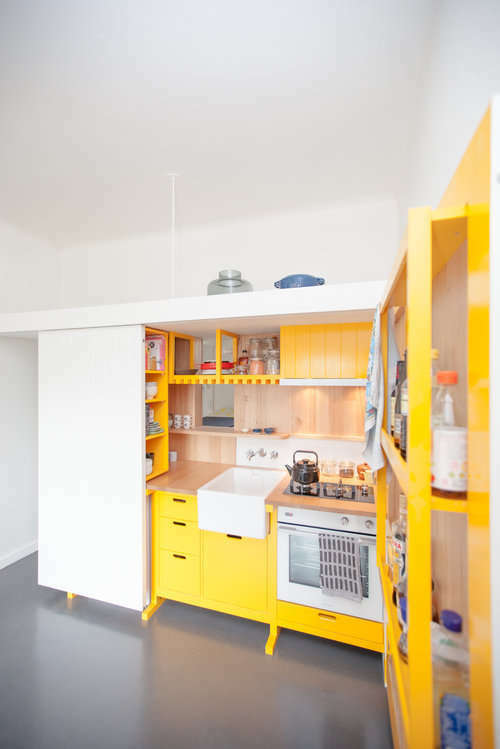 I also love bold yellow cabinets that look modern and raise the mood.